Want to read this issue? These two lake legends are almost too far-fetched to be true — almost. Nothing lasts forever — not summer, not ice cream. All we can do is hold onto the memories. There’s a rhythm in the history of this Gaston County city, and chic restaurants and shops are creating an infectious new beat. Sam Bellamy grew up tending to the animals on his family’s farm in Brunswick County, but it’s his passion for nurturing plants — and people — that has flourished. Amenities at RiverPark at Cooleemee Falls may be new, but fun at The Bullhole goes back a ways at this gathering place on the South Yadkin River. At her gallery on Hatteras Island, Kimmie Robertson spotlights a sea of Outer Banks artists. On a short course at Pinehurst Resort, a pair of putter boys learn the finer points of teeing up, playing through, and celebrating a good drive (quietly). The Chef and the Frog has its roots in Asia and Europe, its growth in good luck, and a home in eastern North Carolina. A late summer hurricane slams the Outer Banks, leaving a path of destruction like nothing North Carolina’s coast has ever seen before. 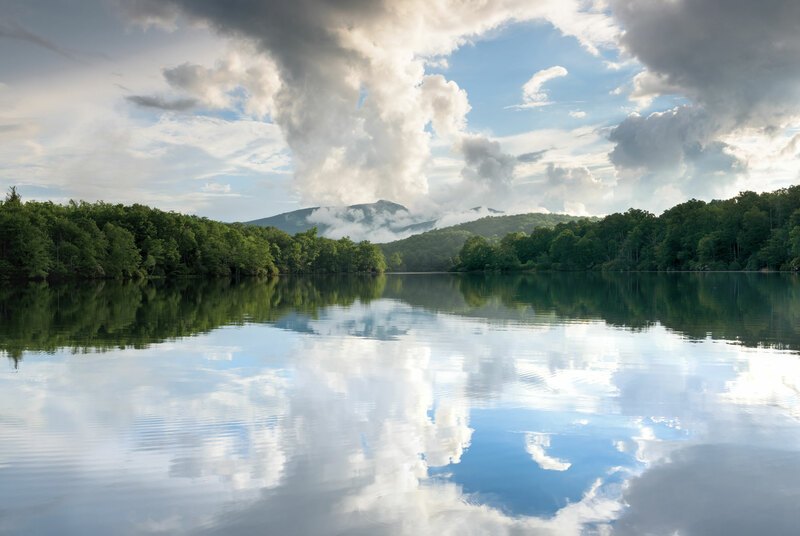 The mountains and the sea may bookend our state, but the story in between is all about our lakes: cool, calm, and always nearby, just waiting for the fishing trips and cannonballs that make summer complete. With his family’s new restaurant, Hello, Sailor, Chef Joe Kindred hopes to reclaim a cherished childhood on Lake Norman — one salt-and-pepper catfish and fried bologna sandwich at a time. The modest homes anchored in coves on Fontana Lake redefine what it means to live on the water. So when this singular community faced the real possibility of eviction, folks joined forces to keep afloat. As the sun begins its leisurely dip into High Rock Lake, so do the lake dwellers of Lexington. On Thursday evenings, they tie their boats together for a floating block party. Spend a postcard-perfect afternoon lounging on a dock or catching air behind a boat, and one question will surely cross your mind: How can I make lake life real life? 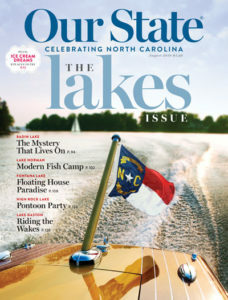 Three generations of the Fields family have found the answer on Lake Gaston. The dog days of summer could be spent inside with air-conditioning — or you could fill them with mountain music, watermelon festivals, and seaside dancing. Two major movies filmed partly in North Carolina continue to excite fans years later.